Audio-Technica is known for their headphones (and turntables), and the ATH-AD2000X are some of the best around. Though the proprietary cables are kind of annoying, the HE-400i's sound great. For great sound with a retro design, these headphones by Grado won't disappoint. If you have a little more than $1000, then check out the Sennheiser HD800 reference headphones which are without a doubt one of the best around. Between streaming services, your smartphone, and the plethora of inexpensive headphones that are available, buying the best headphones under $1,000 might seem like overkill. Why buy a Ferrari if the speed limit is 55mph? Because just like a good car, if you pair any of these headphones with the right source file and gear, the experience can be exhilarating. Continuing with this analogy, these headphones aren’t the kind that you’d stuff in a bag on your way to work. They weren’t made for commuting, they were made for people who enjoy the thrill of driving. If you want to really enjoy your favorite songs, these are the best headphones under $1000. Editor’s note: This list was updated on March 24th, 2019 to include links to new information and updated pricing. The ATH-AD2000X may not be the most popular pair of Audio-Technica headphones but they are one of the best. These are open-back headphones and if you’re not sure what that means, here’s a quick run-down: Most headphones you encounter are closed-back, that is, the drivers are completely encased in the ear cups—save for the part of it that shoots the sound to your ears. These kind of headphones are great for public use as they naturally block outside noise while keeping your music from spilling out around you. Open-back headphones, on the other hand, do not have their drivers encased. Instead, the back is left open (as the name implies). The HiFiMan HE-400i bring some great sound down to an affordable price point, and we couldn’t leave them off the list of the best headphones under $1,000. These aren’t cheap by any means but pound-for-pound, these have excellent build quality and impressive sound quality. HiFiMan is one of those companies (like Sennheiser) with plenty of people who swear by its headphones. These use planar magnetic drivers, which are different than the dynamic drivers you’ll find in most headphones; they’re also super lightweight, weighing in at only 362 grams. Since the HE-400Is are open-back, you’ll be able to hear your surroundings which is useful if you want to get that sense of space that open-back headphones are known for. The drivers are protected by a thin grill, but they’re still exposed to the world. Naturally, we recommend taking care of these and not just tossing them in your bag on the way to work. On the bottom of both ear cups are the signature HiFiMan inputs which have their pros and cons. On one hand, it’s pretty annoying to have to screw in the connectors, but on the other hand, at least there is no chance of them getting pulled out. That cable is nicely constructed and ends in a 90-degree, 3.5mm jack. It also comes with a 1/4” adapter, so if you’re looking to plug these into something a little more powerful than your phone, you can. The cans have a sensitivity of 93dB and impedance of 35 ohm, so it can draw enough power from the average smartphone to work. Though they work with smartphones, these aren’t exactly portable. The HE-400Is don’t fold at the hinges, but they do rotate to lie flat so you can let them hang around your neck while not in use. When it comes to what qualifies as one of the best headphones under $1,000, a Bluetooth pair is rarely in the conversation. That changes with the Beyerdynamic Amiron Wireless headphones. The standard Amiron headphones were already well-received, so when Beyerdynamic made a wireless pair, they had a lot to live up to. Luckily, the Amiron Wireless doesn’t disappoint. These are easily one of the best-sounding pairs of Bluetooth headphones you can get and certainly deserve recognition as one of the best headphones under $1,000. Though the modern, industrial look might not be for everyone, it’s hard to argue with the build quality of these headphones. The sturdy metal build combined with the plush padding makes for a pleasant listening experience for long periods of time. It’s worth mentioning that, although they’re really comfortable, the clamping force is a bit weak. They slid off of my head more than once during testing. Still, that’s all forgiven when you listen to these. The sound quality is top-notch and lives up to the Beyerdynamic name. Included are a few of the top codecs for Bluetooth streaming and the battery life is absurdly good. It should last you around 30 hours of constant playback, which is enough juice to fly from New York to Hong Kong and then some. Of course, these aren’t going to sound better than any of the other headphones on this list (more on that in the section down below), but if you really want the option to go wireless these are tough to beat. Another brand that has made its mark in the audio community is Grado. This family-run company is true to its roots and still operates out of the Brooklyn townhouse where it all began more than half a century ago. But it’s not just the backstory that makes these headphones great, it’s the fact that they’re widely considered to be some of the best headphones on the planet and each and every one of them is handmade by someone with a lot of experience putting them together. These are open-back headphones of the circumaural variety and have a design that’s half-retro and half-modern. The two ear cups are made of mahogany wood for acoustic purposes, but they do have an unintended side effect: They look awesome. As open-back headphones, the ear cups have a small hole that allows sound to travel freely in and out of the headphones. In that hole is the driver protected by a small grill, and around it, the Grado name and series of the headphones are etched onto it. Normally I’m not a big fan of any kind of “self-promoting” on the product, but since the company hasn’t paid for advertising since 1964, the minimal intrusion is tastefully done and is something I can easily live with. Each ear cup has foam padding that allows them to be worn comfortably for long periods of time without causing too much fatigue. 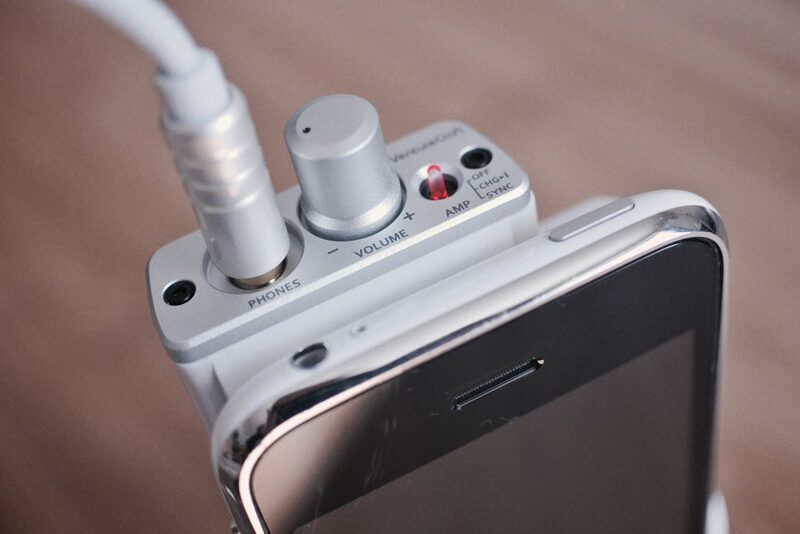 The audio cable ends in a 1/4-inch connector but also comes with a 3.5mm adapter so you can plug them into a mobile device should you choose to. That said, I still wouldn’t use these on your commute to work. Sometimes you can find these on Amazon for varying prices, but just to be safe, you might as well get them straight from Grado if you’re looking to invest one of the best headphones under $1,000. We can’t end this list without a little something from Sennheiser or, in the case of the HD800s, a big something. Now it’s worth mentioning that the HD650 and HD600 are also favorites in the audio community and sometimes preferred to the HD800. If you’re just starting out in audio it’s probably best to go with one of those and use the money you saved to start building your setup. But if you’ve already invested in a quality DAC and amp, and know for a fact that you need both of them, then you can’t go wrong with the HD800. Technically speaking, these are slightly over $1,000, but it’s close. Plus, they perform so well that we figured they still deserve a shot at the best headphones under $1,000. Just in terms of the build, these headphones look monstrous. They look like something from Back to the Future—in a good way. Both the headband and ear cups are covered in a plush cushion that makes these ridiculously comfortable during long sessions. They feature 56mm drivers that were made with perfection in mind and get pretty damn close. People who have these set up the right way have nothing but great things to say about them and it’s not hard to imagine why. These also have an impedance of 300Ω so if you’re looking to use these with your cell phone, you might want to rethink that unless you have an amp to go along with it. As we get into down below, most headphones don’t require an amp or dac to use. These are not one of those headphones. Do you need an amp and DAC? The answer to this is going to vary case by case and depends on what your source is, but for the most part, the answer is no. That’s not to say that the answer is always going to be no. For example, the Sennheiser HD800 headphones have an impedance of 300Ω so good luck trying to power those without an amp. Even the Grado headphones are only 32Ω which is in the range most smartphones can handle. If you want to really dig into these topics Chris Thomas wrote two great explainer pieces about when you do and don’t need an amp or DAC. But if you’re pressed for time we’ll go over the basics here. Flickr user mujitra Portable amps are still clunky, so buying headphones that work well without one is a smart purchase. For better or worse, when it comes to the best headphones under $1,000 portability becomes less of an option. When you hear someone talk about driving a certain pair of headphones what they’re referring to is its impedance, or the ability of the cable to resist a current. Most manufacturers will state what this number is in the specs section. If your headphones have an impedance around 32Ω or less, chances are the average smartphone can sufficiently power them. The Beyerdynamic Amiron Wireless has an impedance of 32Ω when wired so an amp isn’t necessary with them. Even the HiFiMan HE400i (35Ω), our bang-for your-buck pick as the best headphones under $1,000, should be fine without an amp. Of course, if you read the full explainer, you know that impedance is only half the equation. You’ll also need to know the sensitivity of the headphones to determine if you really need an amp, but a quick glance at the impedance will usually let you know if you need to dig deeper. You might be annoyed to hear that the answer to whether or not you need a DAC is similar: it depends. The DAC, or digital to analog converter, that comes in modern devices is usually enough to get the job done. Unless you’re using a pretty old piece of equipment most smartphones, computers, and tablets have built-in DACs that do a really good job at cleanly converting a digital signal. You can learn more about the gritty details here, but if you’re experiencing issues with sound quality chances are the culprit is insufficiently powered headphones or low-quality source files—not the chip that’s doing the converting. Should you burn-in your headphones? No. As you start going down the rabbit hole of high-end audio, you might see people talking about something called burn-in. It basically equates to the idea of breaking in a new pair of shoes. So before you can get peak performance from a pair of new headphones, you need to use them for hours upon hours to “burn-in” the drivers. Sounds like a lot, right? Luckily, burn-in isn’t a thing. So don’t waste your time burning in your investment and skip right to the part where you can enjoy your new headphones. Is wireless as good as wired? Bluetooth and wireless audio has come a long way in the last few years, but if your main concern is sound quality then the answer here is simple. No, wireless audio is not as good as wired. That said, it’s important to understand why. And even more important is to know that chances are you’re not going to hear the difference anyway. Wireless audio isn’t bad by any means. It’s just not as good as wired headphones are on a technical level. While the Amiron wireless that made this list are a phenomenal pair of headphones, an audio cable is currently the best way to go. Bluetooth pairing is excellent and the cable is stronger than it looks. This has to do mainly with the amount of data that can be transferred over Bluetooth from your source device to your headphones. The technology is getting better every year, and there are some promising advancements on the horizon, but at the time of this article, it just can’t beat a good ‘ol wired connection. Chris boasts countless hours testing consumer audio products over many years and our collective experience has allowed us to determine the best headphones under $1,000. Not only is this site our nine-to-five, but Adam, Chris, and Lily each have multiple years of reviewing consumer audio products. We’ve kept tabs on the ever-changing world of audio, giving us the ability to parse apart the gimmicks from the gems. As frequent visitors of SoundGuys already know, Chris wears his hatred for all things Bluetooth like a lovesick teenager wears his heart on his sleeve. The Bluetooth product listed? They’re damned special. Adam, a SoundGuy for nearly four years, has heard everything from pristine highs to vacant lows. Then there’s Lily with countless hours clocked in at a radio station working in a professional studio environment and reviewing audio products on her own time prior to joining SoundGuys. We want you to be happy with your purchase—none of our writers see a dime from partnership deals or referral purchases—and nobody here is allowed to benefit from steering you towards one product or another. While this site does make money from referrals, the individual writers are paid based on their work, regardless of whether or not people clicked that “buy” icon. They will never even know if anyone did, though the site going under might be a good hint. You can read all about our ethics policy by clicking here.